Yesterday I went to my school’s quarterly Portfolio Show not only as a student but as an industry professional through my work. I can’t believe in 12 weeks it’s finally going to be my turn. Nervous and excited! 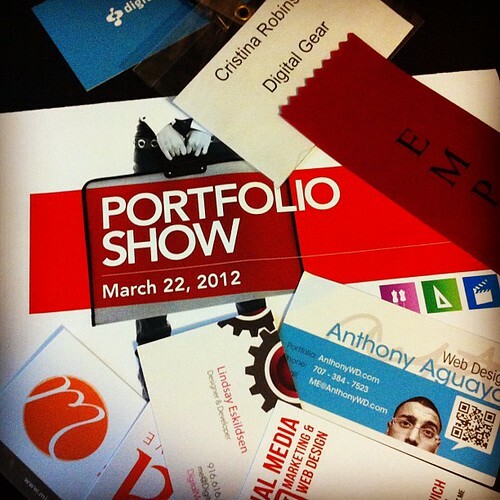 Thank you for showcasing my business card and linking to my portfolio Cristina. Twelve weeks from now will be your chance to shine and showcase your talents at the next portfolio show. I’m very impressed by your attention to detail and dedication to what you do. I can’t wait to come back in twelve weeks for the next portfolio show and I’m looking forward to seeing your new portfolio, don’t stress because you’re an amazing artist and all will be fine.